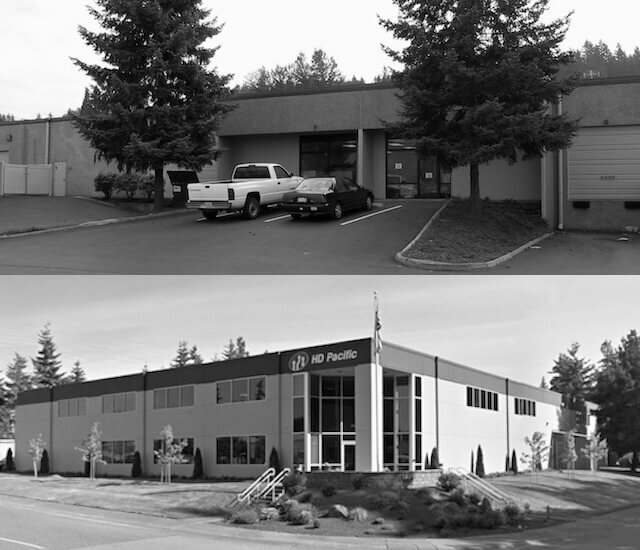 HD Pacific has been providing refurbishment, service, and support for semiconductor equipment to customers around the world since 1998. We specialize in Applied Materials systems. Providing our customers with Best-in-Class service (top quality, cost savings, professional experience, clear communication, and full commitment) has enabled our customers to achieve high levels of productivity with substantial cost reductions. This in turn has earned us repeat customers worldwide. 1994 - Sole Proprietor established. 2000 - Leased a 6,000 sq. ft. building in Lynnwood, WA. Started refurbishment of: Lam 490 & 590, Gasonics A1000, AMAT 8310s & 8330s, and AMAT P5000 Systems. 2002 - Focus on refurbishment and support of Amat Centuras and P5000s for CVD and Etch applications. 2004 - Leased a 15,000 sq. ft. building and completed a 1,500 sq. ft. cleanroom in Woodinville, WA. Continued to focus on AMAT Centura and P5000, while expanding into Endura PVD systems. 2008 - Purchased a 30,000 sq. ft. building in Mukilteo, WA. Completed installation of a 3,000 sq. ft. Class 10,000 cleanroom 6 fully facilitized bays, and 12 total bays. Quality, cost savings, technical ability, clear communication, and full commitment have allowed us to satisfy our customers around the world.